Published by Carroll & Graf Publishers, Inc.
Serialized in All Story Magazine, this is the first time A Prize for Princes has appeared in book form. Beautiful and deadly, Aline Solini is a study in pure evil. First encountered in a Balkan convent about to be sacked by marauding Turkish forces, she is rescued by Richard Stetton, a wealthy American who becomes totally captivated by her. His wealth aids her to escape from Vasili Petrovich, the husband she tried to poison and enter the highest social circles to meet men of power, where she continues to ply her sensual talents in intrigue and murder. 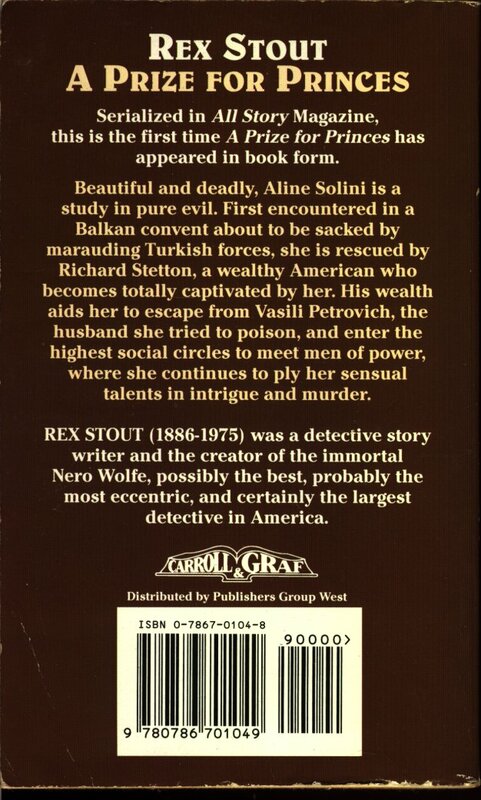 REX STOUT (1886-1975) was a detective story writer and the creator of the immortal Nero Wolfe, possibly the best, probably the most eccentric, and certainly the largest detective in America. 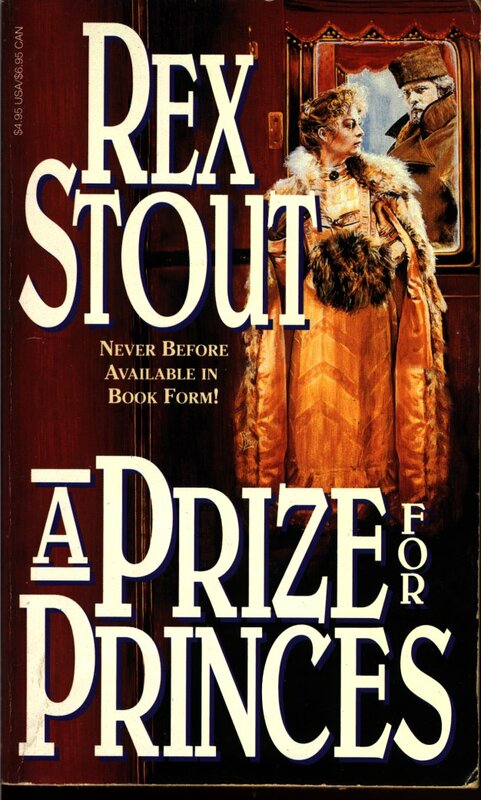 A Prize for Princes is the first Rex Stout novel to broach three subjects associated with Nero Wolfe: the country where he spent his youth, how his marriage ended, and his feelings in general toward women. Set in 1914, A Prize for Princes concerns Balkan intrigue. Nero Wolfe was from that neck of the woods, growing up in Lovchen, Montenegro, and he was named after Monte Nero, located there. Aline Solini, the title subject of A Prize for Prince, tried to end her marriage to Vasili Petrovich by poisoning him, which Nero Wolfe mentioned was a crowning touch of his.